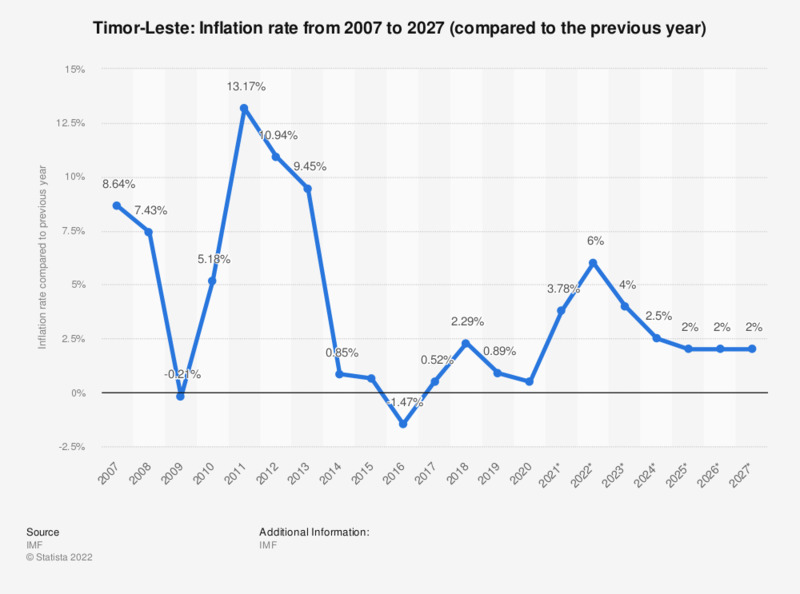 This statistic shows the average inflation rate in Timor-Leste from 2012 to 2017, with projections up until 2020. In 2017, the average inflation rate in Timor-Leste amounted to about 0.56 percent compared to the previous year. Everything On "Timor-Leste" in One Document: Edited and Divided into Handy Chapters. Including Detailed References.